Dog club members are experts about canine nutrition, health, training, and development. and participating in agility, obedience, rally, and many other AKC events. breeder locator service. They monitor and provide input for legislation governing responsible dog ownership. Prospective members are asked to complete a membership application and must be sponsored by two members in good standing. They are also asked to complete and sign a Breeders' Code of Ethics. The annual meeting is held in the month of December. Club Officers are elected during this meeting. Membership is open to those who are in good standing with the American Kennel Club and who subscribe to the purposes of this club. 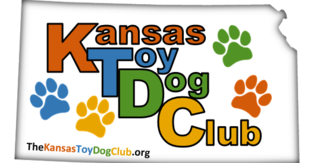 While membership is to be unrestricted as to residence, the Club's primary purpose is to be representative of the Toy dog enthusiast . We Are Looking for People - Just Like You!